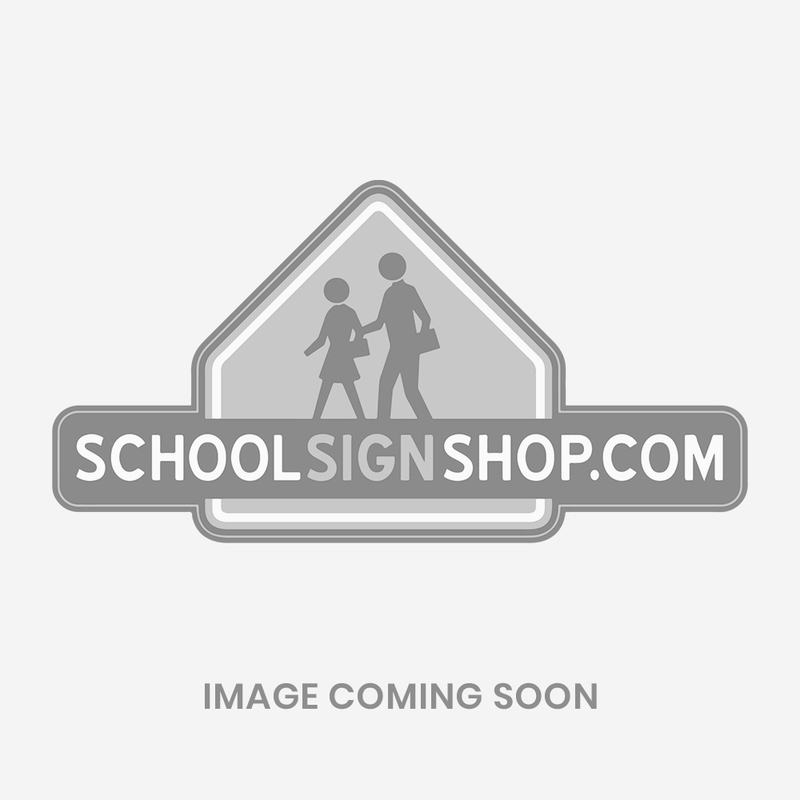 Get your traffic moving in the right direction & display your messages easily with the heavy-duty portable weighted signs with solid rubber base. Best positioned at school entrances, in doorways and in parking lots for directing any kind of traffic. All signs are made up of a highly durable, weather and fade-resistant blow-molded plastic that is detachable from the 20lb. recycled tire rubber base, made to last in the roughest of environments. Features a wind-resistant shape that enables use even in extreme wind or bad weather conditions. Signs are 44" tall and have a molded handle which ensures easy portability. Printed with reflective vinyl on both sides..